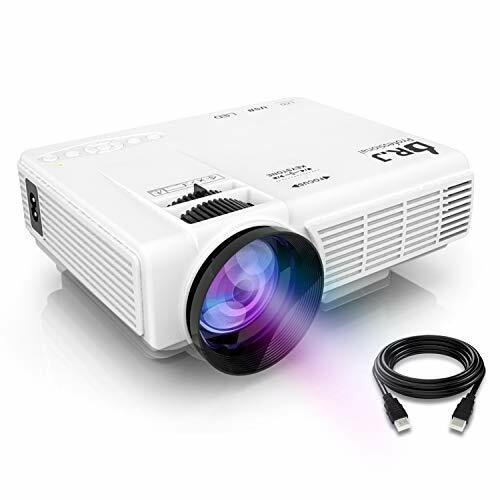 DR.J 4" Mini Projector with 170" Display 40000 Hours Upgraded 2018 is currently selling at $86.99, approximately $1.06 higher than average, giving a potential saving of $1.00 right now. With a lowest price of $84.99 and an average of $85.93 it is selling on the high end of its usual range. Price volatility is 1.34% (meaning it does not change often), so you might have to wait a while for the price to drop. Right now this product is a recommended 'ok deal'. 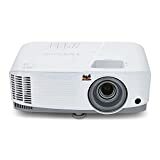 Compare the current price, savings (in dollars & percent) and Buy Ratings for the top Portable Projectors that are closely related to DR.J 4" Mini Projector with 170" Display 40000 Hours Upgraded 2018. Here is how DR.J 4" Mini Projector with 170" Display 40000 Hours Upgraded 2018 compares with other leading Portable Projectors. Features? (UPGRADE) PORTABLE LED VIDEO PROJECTOR: To meet our customer's new needs, DR.J has upgraded our projector again in 2018. The upgraded projector can make sure you have a great time for indoor and outdoor movies in dark. 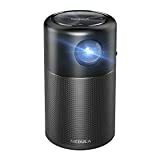 You certainly will not regret to try our DR.J mini projector. [Note: not recommended for PPT, word, excel or business presentation.]? HIGHEST 840 X 480 NATIVE RESOLUTIONS: Supported resolution:1920*1080, Aspect Ratio: 4:3/16:9, Contrast Ratio: 2000:1, Lamp lifetime: 40000 hours, Watching Size: 32¡±-176¡± with projector distance 1.5m-5m.? 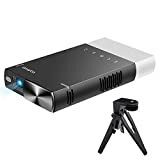 MULTIMEDIA PORTABLE PROJECTOR: DR.J projector is compatible with TV Box, Amazon Fire TV Stick, ChromeBook, PCs, Laptops, Tablets, Blue-ray DVD player, SD Card, USB Flash Drive, Media players (Music, Pictures, Video, TXT), iPad, iPhone, Android Smartphones ( Wireless HDMI Dongle not included).? IDEAL CHOICE FOR HOME ENTERTAINMENT: DR.J LED projector is great for home theater, movies & video games. Don't recommend for PPT presentations. For detailed data presentations,like PDF,Excel,Text files, we recommend you to order our another LED projector.